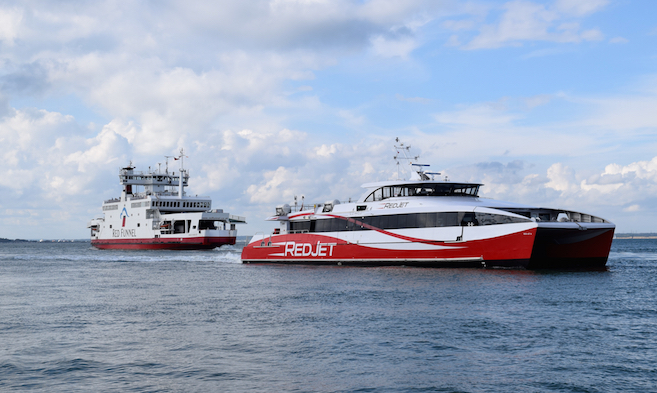 Red Funnel vehicle ferry and Red Jet Hi-Speed passenger service departures to Southampton and the Isle of Wight. The information below shows the live status of the next seven ferry departures to Southampton, Hampshire and to West Cowes or East Cowes, Isle of Wight. View the ferry and Red Jet timetables on the Red Funnel website. The departure data feeds are being worked on and will be up and running again as soon as possible.